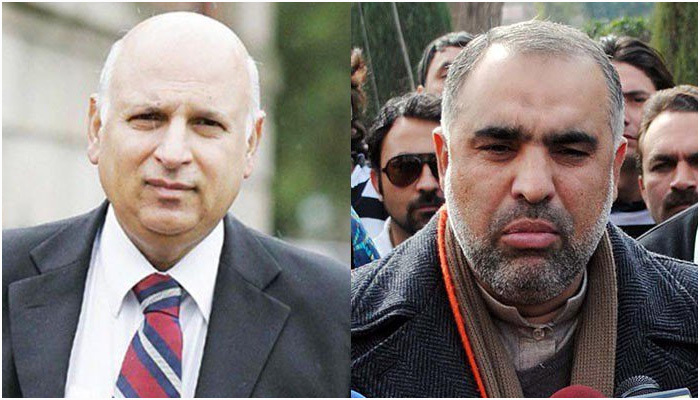 ISLAMABAD: The Pakistan Tehreek-e-Insaf (PTI) has nominated party leader Asad Qaiser as the Speaker of the National Assembly and Chaudhry Mohammad Sarwar as Governor of Punjab. PTI Vice-Chairman Shah Mehmood Qureshi briefed reporters on Friday about the party’s nominations for the posts of National Assembly speaker and Punjab governor. “We have clear majority in the Punjab and we are in a position to form the government in the province,” Qureshi said. Asad Qaiser, who has previously served as Speaker of Khyber Pakhtunkhwa Assembly, brings a wealth of experience with him and enjoys an admirable relationship with all the political parties, Qureshi told the media. Asad Qaiser belongs to the Swabi district of Khyber Pakhtunkhwa and graduated from the University of Peshawar before moving on to a career in education. He joined the PTI in 1996, prior to which he was a member of the Jamaat-e-Islami’s student wing. In the PTI, he served as the district president of Swabi and provincial president of the party. Chaudhry Sarwar, who has served as the Punjab governor in the past, was recently quoted as saying that he was not interested in the post. Senator Chaudhry Sarwar was born and raised in Pakistan, later moving to Scotland in the 1970s. He has served as a former member of the British Parliament. In 2013, he left Britain and returned to Pakistan joining the Pakistan Muslim League-Nawaz (PML-N) and being appointed governor Punjab. Sarwar left the PML-N over differences and joined the PTI in 2015. Earlier this year, he was appointed to the Senate of Pakistan on a general seat from Punjab. Qureshi added that PTI Chairman Imran Khan will announce the party's candidate for the post of Punjab chief minister. Similarly, former Punjab chief minister Pervaiz Elahi has been nominated as the Speaker of Punjab Assembly. Meanwhile, the PTI leaders confirmed that the party Chairman Imran Khan will take oath as the prime minister on August 18. Imran Khan, whose party secured 116 general seats in the National Assembly, is set to become the 19th prime minister of Pakistan. Speaking to the media here, the PTI Spokesman, Fawad Chaudhry, said that newly-elected members of the National Assembly would take oath at 10:00am on August 13, which would be followed by the election for the speaker and deputy speaker of the assembly through secret balloting. "The procedure takes two to three days, hence it has been decided that the oath-taking would take place on August 18," he announced, adding that preparations for the ceremony would kick off from Saturday. Interestingly, Fawad Chaudhry said Imran Khan would not stay at the PM House or the Punjab House in Islamabad. "Imran, being the prime minister, will stay at the Ministers Enclave, however, he may stay at the Punjab House for a few days because of repair of the house," he explained. A couple of days ago, PTI leader Naeemul Haque had said that Imran Khan would reside at the chief minister's annexe at the Punjab House, after taking oath as premier. In his first speech after the PTI emerged victorious in the July 25 polls, Imran had said he was likely to turn the Prime Minister House into an educational institute. "Our government will decide what we will do with the PM House. We want to turn it into an educational or public institution," he had said. Meanwhile, Senator Faisal Javed said that three former Indian cricketers had been invited to Imran's oath-taking ceremony. He tweeted that Sunil Gavaskar, Kapil Dev and Navjot Singh Sidhu had been invited to the event. Already, it has been reported that Pakistan’s current cricket team had also been invited to the ceremony. Likewise, members of Imran Khan's 1992 World Cup winning team have been invited to attend the ceremony. Indian High Commissioner Ajay Bisaria also visited the Banigala residence of Imran Khan on Friday to congratulate him on PTI’s victory in the general elections. During the meeting, Imran Khan emphasised on the resumption of dialogue between Pakistan and India to resolveall disputes, including the Kashmir issue. He expressed concern over the grave human rights violations in the Indian Held Kashmir (IHK). He also hoped that the much-awaited Saarc Summit would soon be held in Islamabad, which had been postponed earlier. The Indian high commissioner presented Imran Khan a gift of a cricket bat signed by the current Indian cricket team members. He also expressed the hope about the beginning of a new and positive era in the bilateral relations between Pakistan and India. The high commissioner also conveyed Indian Prime Minister Narendra Modi's message of felicitation to Imran Khan for his party's victory in the general elections. 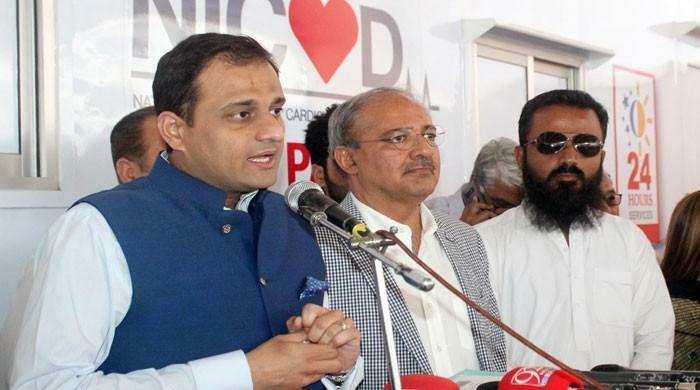 Ajay Bisaria maintained that the telephonic talks between the Indian prime minister and Imran Khan had given birth to a hope that relations with Islamabad would move in a positive direction. Bisaria's meeting with Imran took place in the presence of senior party leaders, including Shah Mehmood Qureshi, Naeemul Haq, Fawad Chaudhry, Dr Shireen Mazari and Dr Shahzad Waseem. A few days back, Modi had also telephoned Imran to greet him on his election victory. In the media talk, Fawad Chaudhry said in reply to a question that due to paucity of time, the Indian premier could not be invited to Imran’s oath-taking ceremony as prime minister. He clarified that all expenses of security at Banigala were being borne by Imran and that if needed, Imran would spend from his own pocket on refurbishment of his official residence, as he had promised to the nation. Fawad said that since the oath-taking would take place at the President House, the host of the event was also the President House, therefore, a few hundred people could be present at the event. He added had this been possible, they would have invited the PTI workers, whose sacrifices had shown Pakistan the present day. The National Assembly Secretariat has made special arrangements for the preliminary session of the 15th National Assembly, which is going start from August 13. In this regard, a control room and facilitation centre have been set up in the Parliament House to assist and facilitate the newly-elected members of the National Assembly. The control room has been established in the service branch of the National Assembly, which will remain open round the clock, while the facilitation centre set up in Committee Room No.2 for collection of bio-data of MNAs-elect, issuance of MNAs folders/bags containing various assembly documents, preparation of photographs, collection of local/permanent addresses and preparation of identity cards of newly-elected members of National Assembly will remain open from 9:00am to 9:00pm. To ensure foolproof security and shortage of seating capacity in galleries, only two galleries passes will be issued to each member of the National Assembly for their guests on written requests on the occasion of oath-taking of members, election of the speaker and deputy speaker and ascertainment of the prime minister in the National Assembly. The National Assembly Secretariat has issued a circular in this regard to all the members-elect of the National Assembly.